Hey! 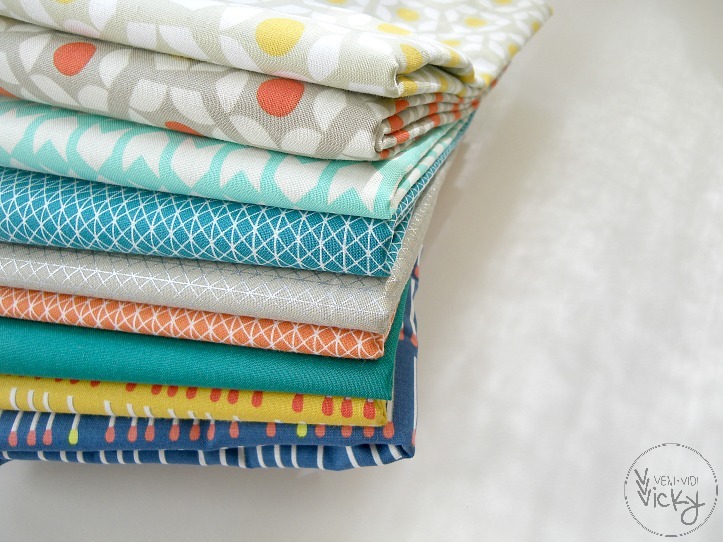 You just hopped to Germany thanks to the lovely Kinga at Kinga Isabella Quilts. I recommend visiting her blog if you haven’t already. The other week she posted a tutorial for a craft supplies storage box. So handy! 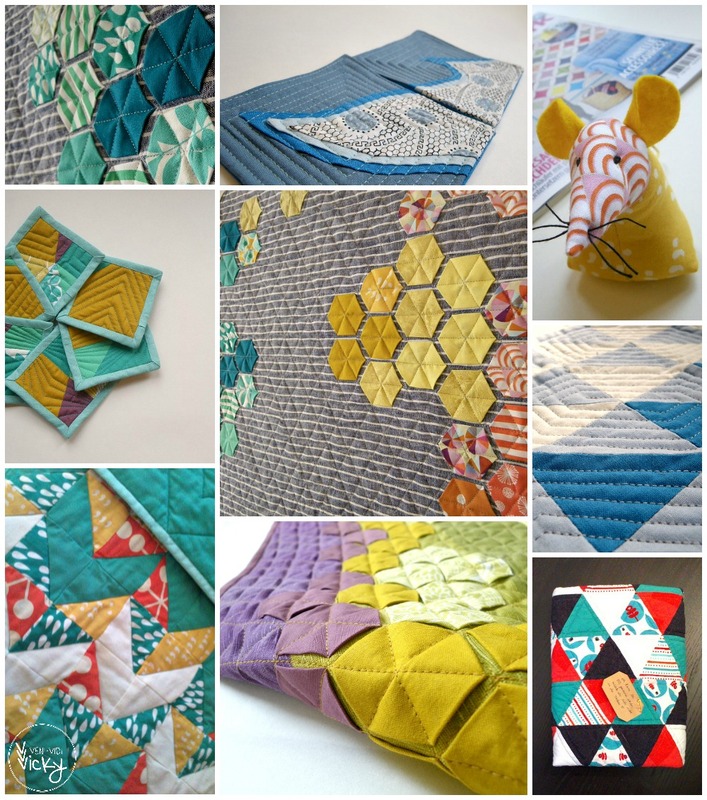 The idea is to have a never ending blog hop connecting quilters all over the world. Pretty cool if you ask me! There are some projects in the planning phase at the moment. Like I’m pulling fabric for an Africa inspired quilt for my godmother, who lost her heart to Africa teaching there for a couple of years. I’m also going to be a godmother myself, so I’m working on a baptism gift for my (future) godson. I already made him a quilt when he was first born (the bottom right one in the collage above) so I need to come up with something other than a quilt. There’s a quilt top I made in early summer that needs to be quilted. I’m also working on making it into a pattern, but that’s going real slowly. And shhh… I’m working on a secret project which involves taking Christmas-y pictures in September – who have I become? That’s a rather tough question for me to answer seeing as I’ve only been quilting for a couple of months. One thing that I might be doing “differently” is that I don’t really use patterns. Coming from an architectural background I feel like my brain knows how to work with geometry and math and I enjoy the process of sketching and calculating. My fabric stash is still really small so I’ve ben using a lot of versatile solids and blenders and not as many prints as other quilters do. Even with my recent purchase from the US, I felt very drawn to solid fabrics. Maybe that’s my thing and I will stick to it? I just LOVE to actually make things. It’s so satisfying to me to work on something and to hold it in my hands afterwards. I’ve always been a creative person, but I hadn’t quite found my outlet prior to stumbling across quilting. Quilts and pillows make great gifts and I love giving handmade goods, that motivates me so much! oh, lots of sketching and risk taking. 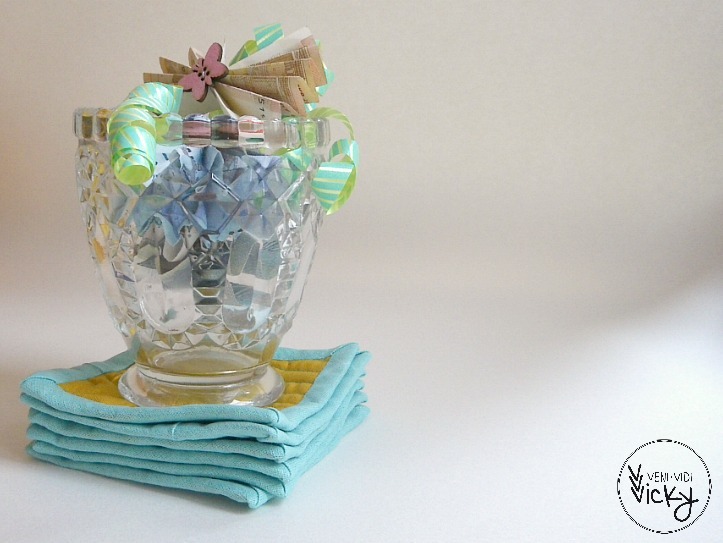 I have a long quilty bucket list but the things I actually make are often decided on a whim. 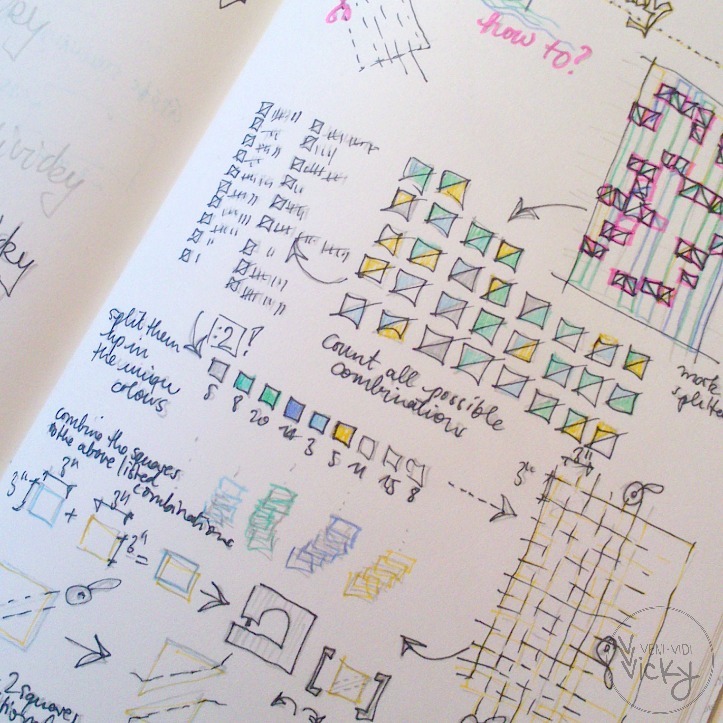 I see something I like, make some sketches, calculations, pull fabrics and just make it. I sometimes regret not taking more time to consider my options before I start and will doubt what I do half way through. Like with this table runner I made, I was lukewarm on it before quilting. But it turned out rather nicely in the end, if I say so myself. Holly who used to be @hollyreid on instagram (now @hollygetsquilty) just went live with her gorgeous (!) 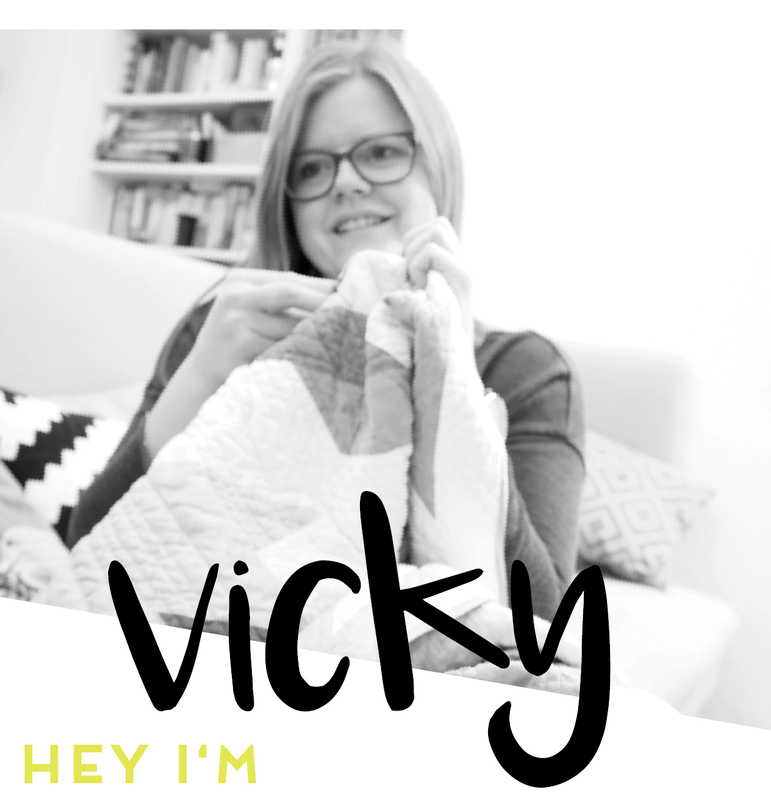 new blog Holly Gets Quilty. Even just looking at her blog layout you can tell she has a great eye for colour and geometry. And meet Michele from Undiscovered Optimist. I love her personal relationship to quilting, you can feel her passion through her words. 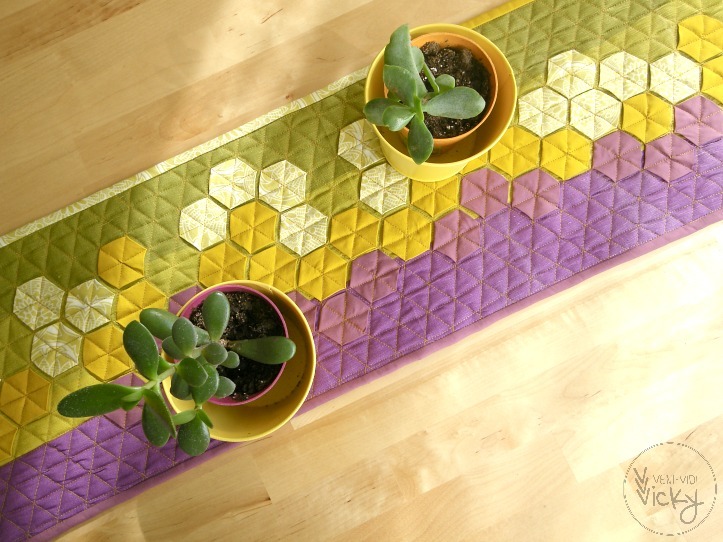 She makes beautiful things and has such a good way with combining prints. I’m excited to see where else the blog hop will take us. was für ein toller Post! Das Du erst seit ein paar Monaten quiltest ist für mich unvorstellbar! Deine Arbeiten sind so schön, perfekt, professionell! Hast du Architektur Studiert, das Du so Zuhause bist im Land der Formen und Zahlen? Ich bin auf jeden Fall ein Fan von Deinen Arbeiten! You have only been quilting for a few months. Wow! I love your colours, and if you find yourself drawn to solids, stick with them … or feel free to change your mind as your stash grows. It should be about fun. 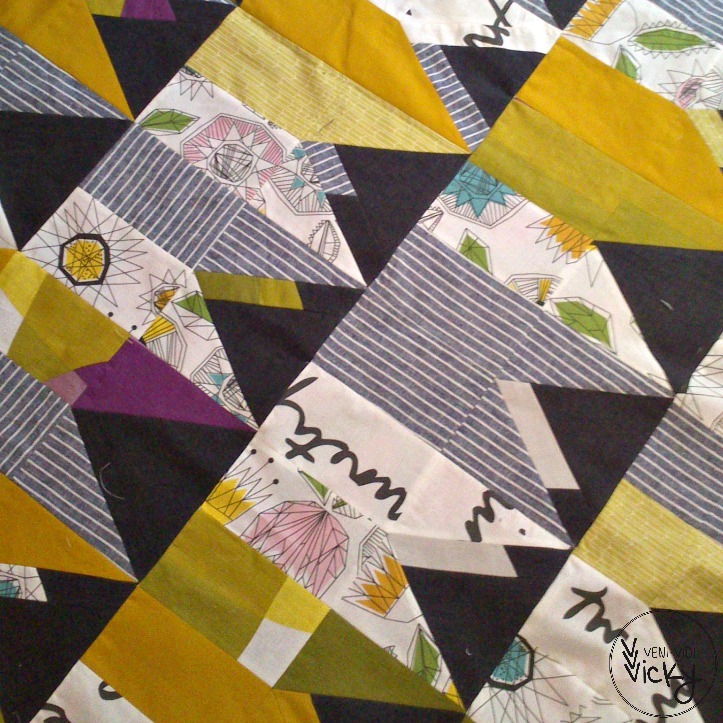 Your work is lovely and all the more impressive if you haven’t been quilting very long. I think your work already has an individual and interesting feel to it. Hey Kaja, thank you so much! It means a lot that you can make my style out! 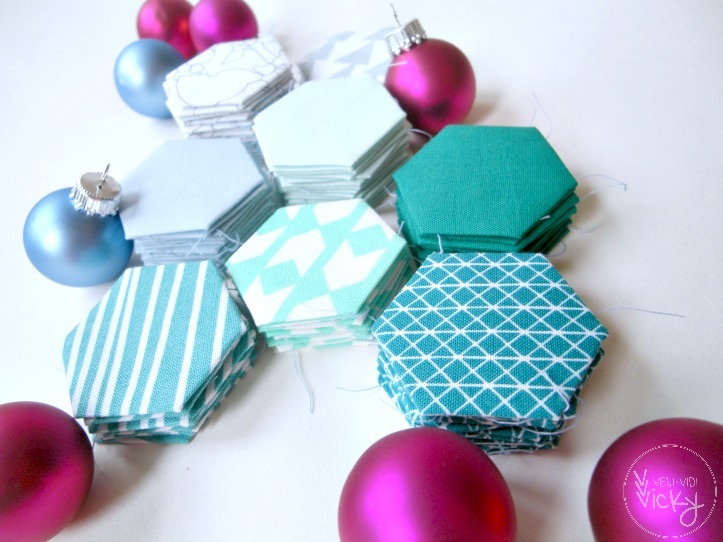 Your projects are so awesome, and I love your use of solids. That’s so cool that you identify with the math and sketching. I’d love to be a fly trapped in your sketchbook…or maybe just on the wall haha. I’d totally have you over, little fly ;-) Thank you so much for your nice words Kelsey!